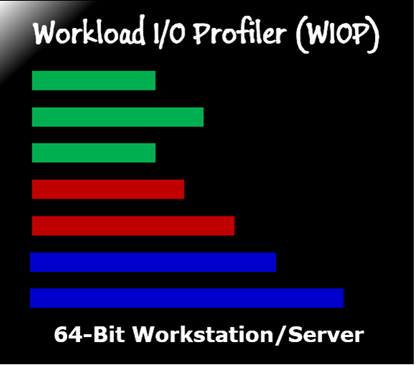 The hIOmon Workload I/O Profiler (WIOP) provides an "out-of-the-box" subscription-fee service for easily and quickly characterizing the specific "I/O profiles" of your particular applications and disks. Moreover, it enables you to capture I/O operation performance metrics at the physical disk level within the operating system I/O stack. The WIOP features a script for automated configuration of the hIOmon software. By default, this script configures I/O operation monitoring of the operating system physical disk associated with the system drive logical disk (typically the C: drive). You can also optionally specify other or additional physical disks to be monitored. The WIOP automated configuration script can be run as part of the installation of the WIOP software. It can also be subsequently run by using the "Reconfigure" button present within the hIOmon Disk I/O Ranger Display"Settings" window, which is used to configure the various WIOP display options. The hIOmon WIOP provides you with an extremely simple, quick, and easy tool to capture, display (both real-time and historical), and save a comprehensive set of automatically-summarized disk I/O operation performance metrics – including upon an individual application/process basis and in realtime. NOTE: All of the hIOmon WIOP software packages, which are made available by electronic download only, are offered as a service upon a 30-day subscription fee usage basis at the prices shown. The subscription period starts upon the date of the hIOmon software installation, which must be within the month of purchase. Extended-use licenses for additional days can also be purchased separately. Also note that a registered account is required to make purchases. hIOmon WIOP Workstation version for 64-bit operating systems only. Please note that the price shown below is the service subscription-fee for an initial 30-day usage. The subscription period starts upon the date of the hIOmon software installation, which must be within the month of purchase. Also note that the "demo" version available below does not include the ability to retrieve and display metrics from export files or ETW input files (i.e., only the real-time display is supported). 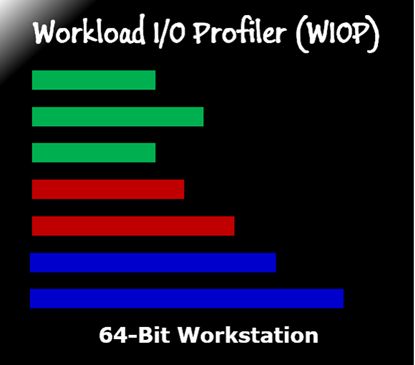 hIOmon WIOP Workstation/Server version for 64-bit operating systems only. Copyright © 2016-2019 hyperI/O LLC. All rights reserved.